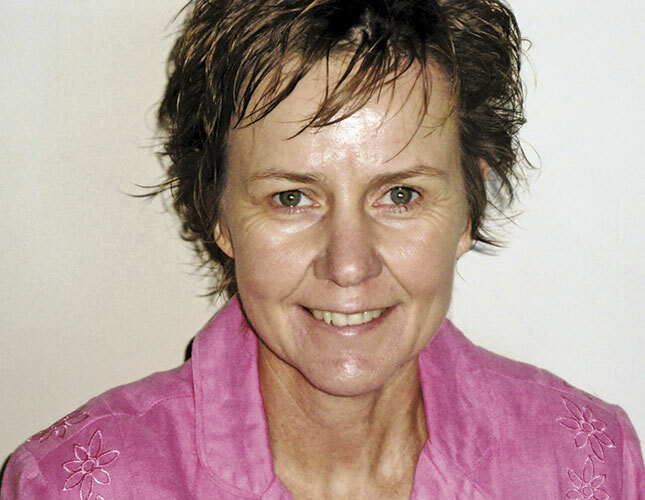 Hanlie Snyman from the Institute for Disability Innovation (IDI) in the Northern Cape explains the need for Foetal Alcohol Syndrome (FAS) awareness, support, prevention, as well as skills training programmes for pregnant women. What is the extent of the FAS problem? Although Foetal Alcohol Syndrome (FAS) is an old, serious and growing malady, it only draws brief public attention when some of its more sensational spin-offs in the poverty-stricken rural areas hit the headlines. Recently, for example, it was reported that young women – often schoolgirls – not only use the social grant system to earn money by becoming pregnant, but deliberately try to give their children FAS so that they can qualify for the R1 200/month grant for disabled children. It’s hard to say how far this facet of the problem extends, because information about FAS is both scarce and unreliable. 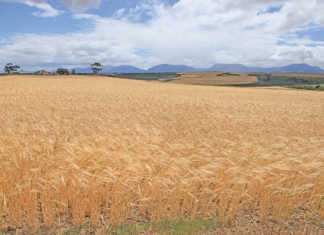 Some statistics indicate that Wellington in the Western Cape has the most FAS cases; others indicate that it is De Aar in the Northern Cape. However, international studies show that South Africa has the highest reported incidence of FAS in the world. About 25 000 babies are born with FAS every year, and 12,2% of all people living in De Aar have FAS. South Africa does not have appropriately- qualified professionals to perform diagnostic evaluations in rural areas. FAS can thus be described as a neglected and worsening problem, which is growing in most towns without any structures to protect the unborn children. City Press reported that the alcohol trade remains one of the biggest money-spinners in the Northern Cape. FAS is caused by heavy alcohol consumption (usually in binges) during pregnancy. These can lead to permanent brain damage in the unborn child. It occurs among all race groups and across all socio-economic sectors, but is most prevalent in low-income areas where jobs are scarce. Alcohol abuse, teenage pregnancies, lack of family planning, and chronic diseases such as hypertension and diabetes, as well as malnutrition, are often more common here. FAS is characterised by retarded growth, facial and neural abnormalities, as well as malformation of certain organ systems. Alcohol and its primary metabolite, acetaldehyde, are tissue toxins which may interfere directly with cellular growth and metabolism. When alcohol is consumed, it is carried through the bloodstream to all organs and tissues. In the case of a pregnant woman, this includes the placenta. Maternal risk in giving birth to a child with FAS is known to vary substantially between different population groups and individuals. It is not recommended that mothers who regularly consume alcohol, even moderately (more than two drinks per day), breastfeed their babies. Due to these mothers’ alcohol use and the cognitive damage to their offspring, both are at a higher risk of abuse and HIV/Aids infection than the average person in their communities. How can a FAS victim be identified? There are three main indications: growth retardation (before and after birth), facial characteristics, and neurological effects such as permanent brain damage. Typical disabilities are a low level of intelligence, physical disabilities including heart defects, visual or hearing impairment, and difficulty in learning or carrying out tasks. Secondary problems include dropping out of school, unplanned pregnancies, especially among young schoolgirls, as well as trouble with the law. All of these factors have serious secondary effects and lead to increased misery in entire neighbourhoods. Mothers of FAS children also have discernable characteristics. They usually live in an environment in which heavy drinking is the norm, especially heavy binge-drinking on weekends. They may also be heavy smokers and have a lower body mass index than normal mothers, due to malnutrition. Poorly educated, these mothers are less likely to have full-time employment, and are often psychologically depressed. Having had a previous child with FAS is also a strong risk factor for having another baby with FAS. It’s a vicious cycle if ever there was one. Fighting it makes you feel as if you are in a small boat on a wide river. Alcohol is possibly causing far greater harm than any other drug in South Africa, simply because there are so many users. Evidence from around the world indicates that the most cost-effective way to reduce alcohol-related harm, is to restrict access to alcohol, rather than ban it. But the only complete cure for FAS is for women not to drink at all during pregnancy. Is the Department of Social Development neglecting its duty as the lead department coordinating and implementing interventions for this problem? Are health professionals equipped to do the necessary screening and perform the evaluation diagnosis correctly? If not, then who will undertake the correct screening and evaluations without labelling children incorrectly? Currently, diagnosis is made on an ad hoc basis by unqualified people. Does the Department of Education offer educational support in schools for children with FAS? What role does the Institute for Disability Innovation play? It is a non-profit organisation aimed at building its own capacity and skills, as well as effectively managing the necessary community development among the poorest of the poor, disabled persons with special needs, and those with little or no schooling, especially the youth. To combat FAS, we suggest that a screening and evaluation method be developed that can be performed at local clinics by under- and postgraduate health professionals. Only the Department of Health Services can perform such an initiative. We would also like to see a workable FAS prevention programme for pregnant women, carried out by service providers countrywide. The main purpose of the prevention programme would be to equip women during the critical periods of their pregnancies. The aim would be to help them make informed choices, thereby enabling them to protect their unborn babies from the devastating effects of alcohol consumption during pregnancy. This would also reduce and prevent alcohol- related birth defects. High risk women and teenage girls from impoverished rural communities and farms must be fully informed about the negative and life-threatening consequences of substance abuse during pregnancy. Children suffering from FAS must receive care and guidance along with their parents and teachers. There is evidence that brief interventions in prenatal settings (clinics) are an effective, low cost means of helping pregnant women with early stage alcohol problems, thereby reducing or eliminating alcohol use during pregnancy. The technique of brief intervention can be defined as a time-limited, patient-centred counselling strategy to change behaviour and increase patient compliance with therapy. Such a programme must be executed during early pregnancy because it helps expectant women become aware of their unborn baby’s daily development. It will also be advisable to develop a skills training programme over the nine-month period, teaching pregnant women the difference between a normal, healthy pregnancy and an abnormal one and its consequences. Training in needlework, arts and crafts entrepreneurship is essential for keeping pregnant women off the streets to prevent alcohol consumption and help them create a sustainable income. Women can then continue working after giving birth. Finally, an alcohol rehabilitation programme must be made available to all those who need it. Phone Hanlie Snyman on 053 382 3679 or 076 576 7726, or email [email protected]. Email Beatrice Conradie at [email protected] or visit the website www.institutefordisabilityinnovation.co.za. This article was originally published in the 2 May 2014 issue of Farmer’s Weekly.